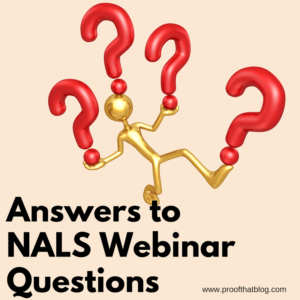 I have been negligent in answering questions that I couldn’t get to during a NALS Webinar, so I will answer those questions here. I think a general review of these different topics could help others. My apologies for the delay. 1. Are the terms “per se” and “duces tecum” italicized? Foreign phrases that have been so integrated into English as to be established as part of the English language are no longer italicized. Finding a comprehensive list of such phrases is difficult. According to Gregg Reference Manual, ¶ 288, “per se” is specifically listed as a frequently used expression that does not need to be italicized. The California Style Manual lists phrases that should no longer be italicized and another list of those phrases that should be italicized (http://www.sdap.org/downloads/Style-Manual.pdf at pp. 146-48). That resource specifically lists “duces tecum” as not italicized. I think those phrases are both used so much in English to be considered part of the English language. 2. How do you know if a word has been incorporated into English usage? Would a dictionary help? One article I found (and an easy gauge) said that in American usage, check Merriam-Webster because if a foreign word is included there, it need not be italicized. I assume it is because Merriam-Webster has become the dictionary that best reflects English vocabulary. If the writer feels that his/her intended audience will be unfamiliar with the word, it may be easiest to italicize the word. 3. Does résumé really need the accent marks? 4. Why does a comma not go after “M.D.’s” and “Esq.’s”? In researching an answer to the question, I find that I was in error in these examples (it does happen!). BOTH of them should have the professional title surrounded by commas, so “Jim Jones, M.D.’s, diagnosis” and “Jim Jones, Esq.’s, opinion lettr” are correct. Thanks for bringing this to my attention. 5. I see that your example of “attorney Jim Jones” was different than what I would have thought to be correct. I would have used “Attorney Jim Jones.” Which would be correct? While personal titles (such as Mayor or Attorney General) before a name are capitalized, the term “attorney” is more of a job description than a title, so it should not be capitalized. It would be more like saying “paralegal Susie Smith.” You wouldn’t capitalize “paralegal” in that instance, so you shouldn’t capitalize “attorney” used the same way. 6. You said capitalize the names of documents already filed. What if the original document was “Motion for Summary Judgment or in the Alternative Motion to Dismiss” and your attorney refers to it as the Motion to Dismiss? Does the document name have to be exact to be capitalized? According to The Bluebook, the title of a court document where the document has actually been filed in the specific matter and the reference is to the exact title or a shortened form thereof, it should be capitalized. You would not capitalize a reference to a generic name of a court document. My concern with the specific example above is that it is a “Motion for Summary Judgment” and only titled a “Motion to Dismiss” in the alternative. But if the attorney specifically indicates that the “Motion to Dismiss” is the shortened name of the specific document, it should be capitalized (although it might be helpful to define it as Motion to Dismiss” in parentheses and quotation marks to be safe and make it clear to your reader). Do you have questions that you wonder about? Send them to me at proofthatblog@gmail.com and I’ll do my best to answer them. Grammar Giggle – Shop Where? Comments Off on Grammar Giggle – Shop Where? My granddaughter sent this to me. Her brother (who just started as a freshman in her high school) received this from his teacher. 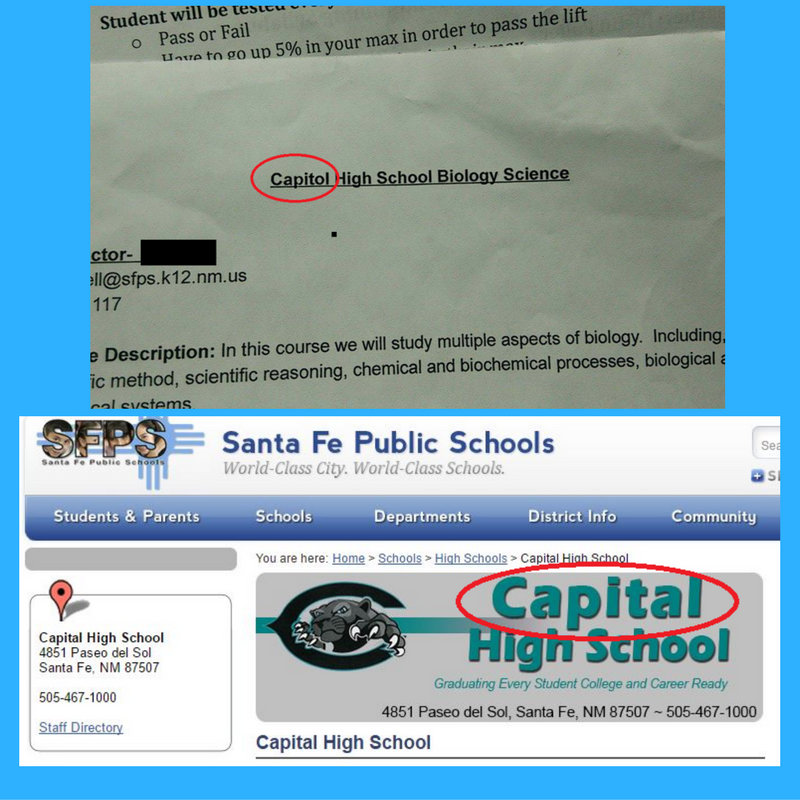 I’ve included the school district’s web page for this high school. There is a difference and you should know how to spell the name of your employer. Grammar Giggle – I Want On The Guest Lsit! Comments Off on Grammar Giggle – I Want On The Guest Lsit! A friend sent this one to me. At least news stations give me lots of material. Grammar Giggle – And Now The Mobile Devices Own Something? Comments Off on Grammar Giggle – And Now The Mobile Devices Own Something? This was in an email before the Barbra Streisand concert last week. 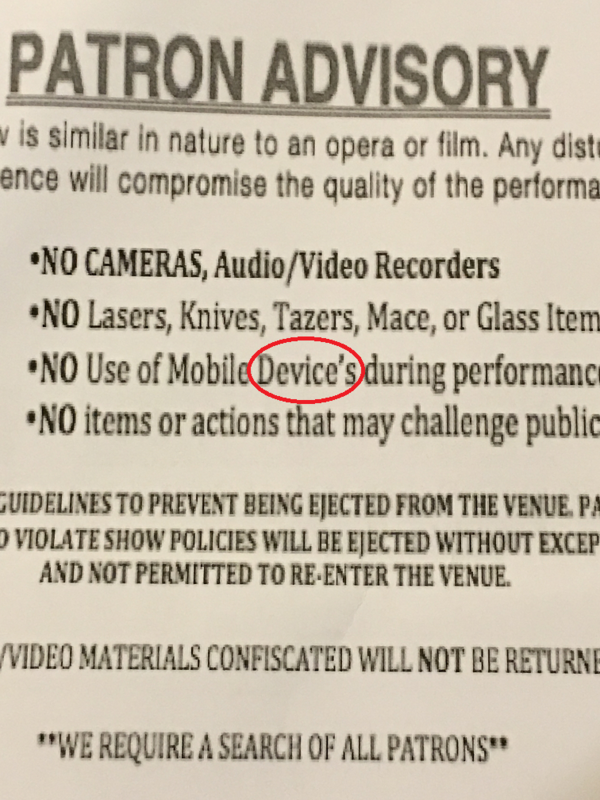 You would think when you pay so much for a ticket, they could continue the correct pluralization of words throughout the whole email about the rules for the concert. It is more something I would expect at a Kanye concert. 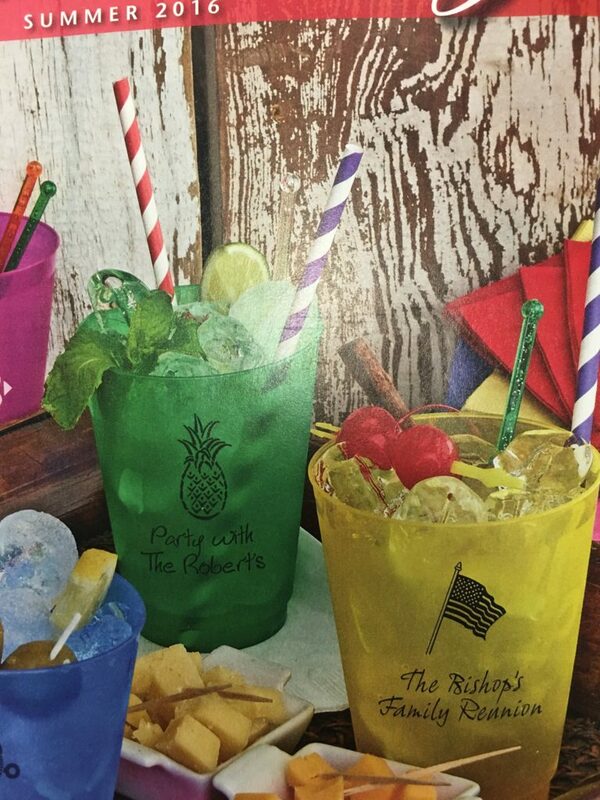 Grammar Giggles – What Do The Margaritas And Bellinis Own? Comments Off on Grammar Giggles – What Do The Margaritas And Bellinis Own? I saw this in a restaurant recently. While the bellinis were delicious, the menu left a bad taste in my mouth. Once again, apostrophes do not make a word plural and consistency is key. 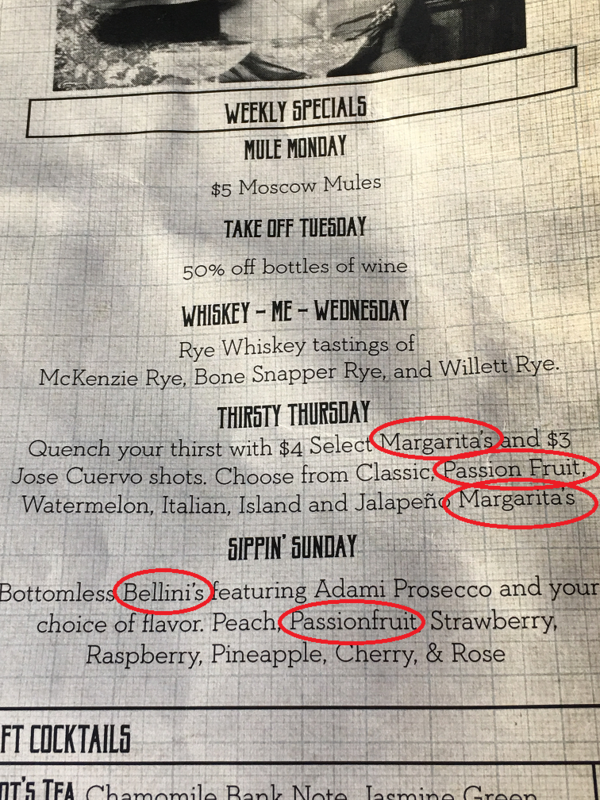 If you’re going to spell passion fruit right one way, try to spell it correctly the next time too. Comments Off on Back to Where? 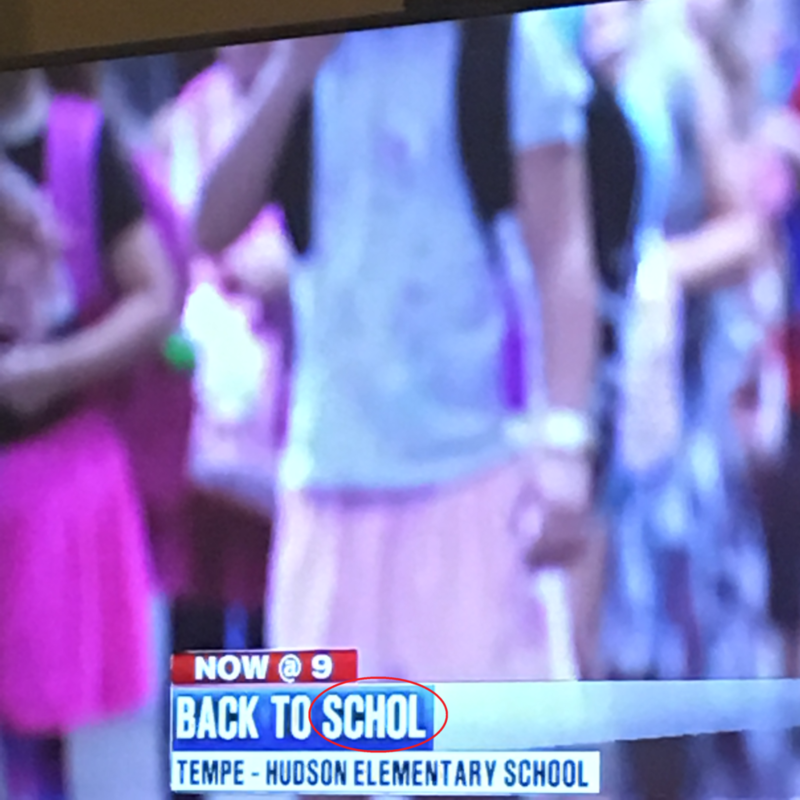 My good old local news station comes through for me again. I happened to look up just as this story came up. And then I shook my head.